GYM & FITNESS – The strongest sport and fitness template and a Powerful WordPress theme is an ultra responsive theme for WordPress that you can do absolutely anything you want. GYM & FITNESS can be a powerful tool to help your brand grow even more. with amazing features that are simple to use. Build any fitness site style without code knowledge! The GYM & FITNESS WordPress theme has compatibility with plugins that allow you to make your site more functional and still get it all so easy and friendly that everyone with experience or not will be able to build an amazing website. With this theme you can unleash your creativity and innovate. 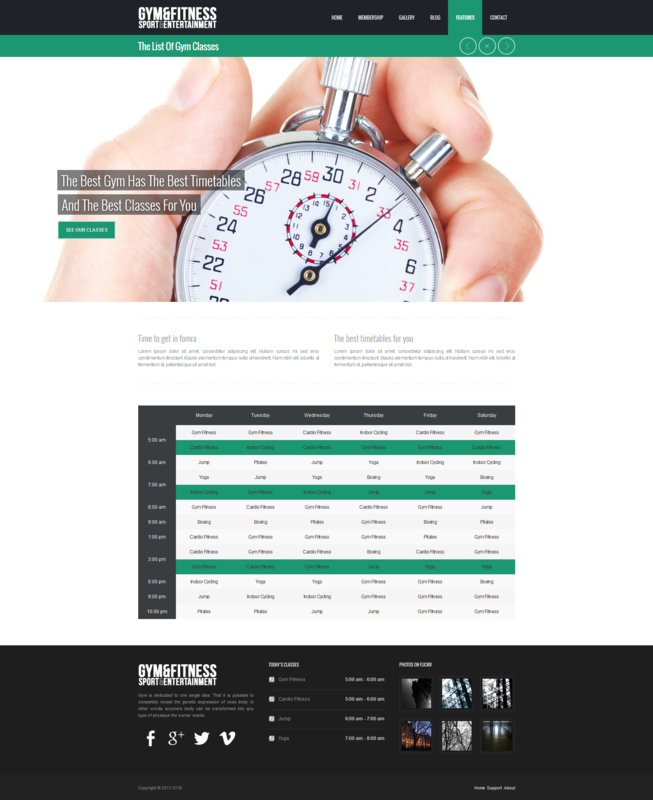 Timetable Responsive Schedule For WordPress – Is a powerful and easy-to-use schedule plugin for WordPress. It will help you to create a timetable view of your events in minutes. It is perfect for gym classes, school or kindergarten classes, medical departments, nightclubs, lesson plans, meal plans etc. It comes with Events Manager, Event Occurrences Shortcode, Timetable Shortcode Generator and Upcoming Events Widget. 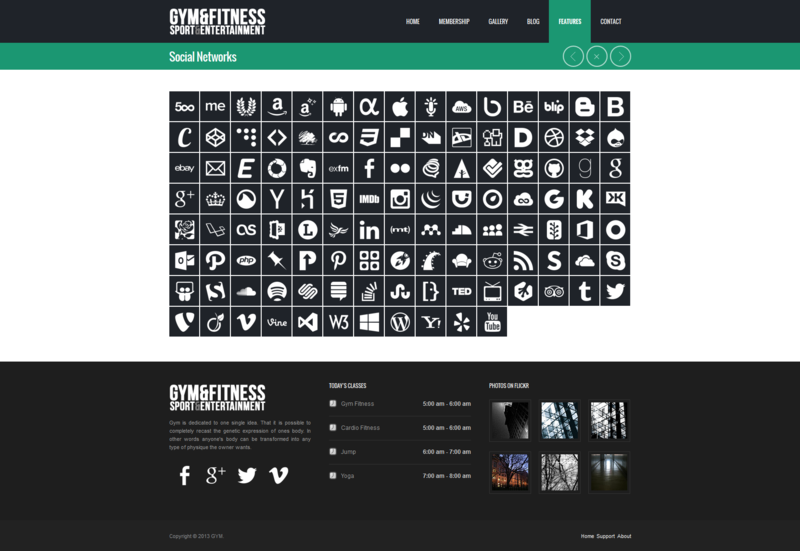 You gain this plugin ($ 19 value) for free purchasing the GYM WordPress theme. Gym & Fitness Theme – A WordPress Theme specially developed for sportive site styles, if you want to build a gym. health. 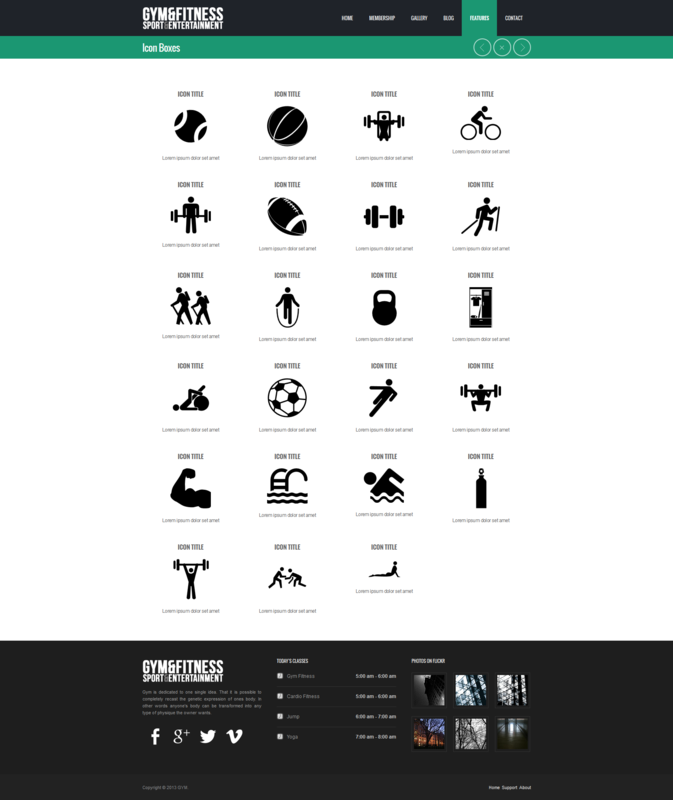 fitness, sport team or any other sports site style it’s the right theme for you! Revolution Slider – Slider Revolution is an innovative, responsive WordPress Slider Plugin that displays your content the beautiful way. Whether it’s a Slider, Carousel, Hero Scene or even a whole Front Page, the visual, drag & drop editor will let you tell your own stories in no time! You gain this plugin ($ 19 value) for free purchasing the GYM WordPress theme. Columns – To better show your content! With our page-builder row columns elements you can build any page layout you want, you can easily choose between 1. 2. 3. 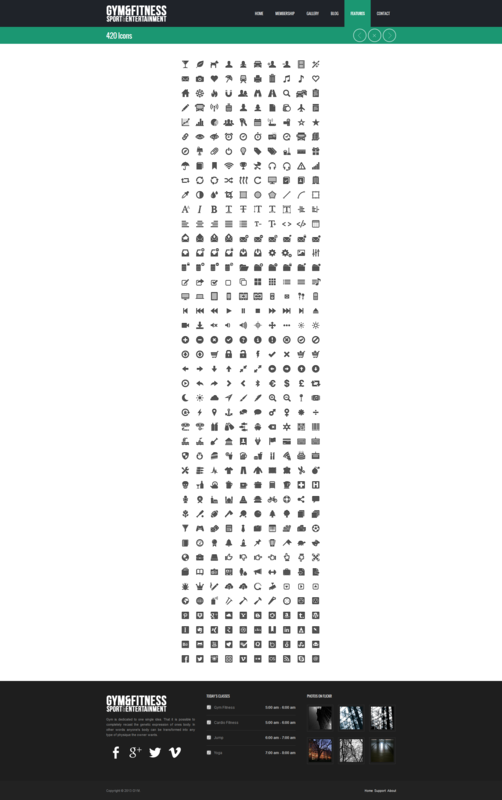 4 and 6 columns with offset or 1/3 + 2/3. you can create any layout you want and have the complete freedom to build your own columns layout as easy as click on a button. Your only limit it’s your imagination! Search Engine Optimized SEO – A important topic of any site is the search engine optimization. We actually have data to back it up. GYM was built to the help your site rank. Rest assured that everything from the functional markup utilizing the latest semantic HTML5 elements, working together with the best WordPress SEO plugin compatibility.